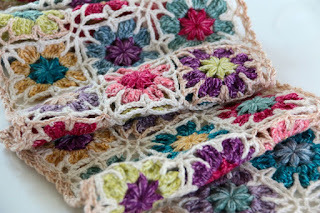 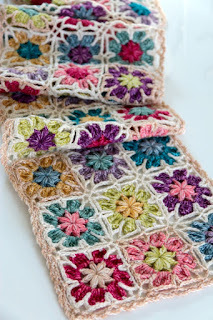 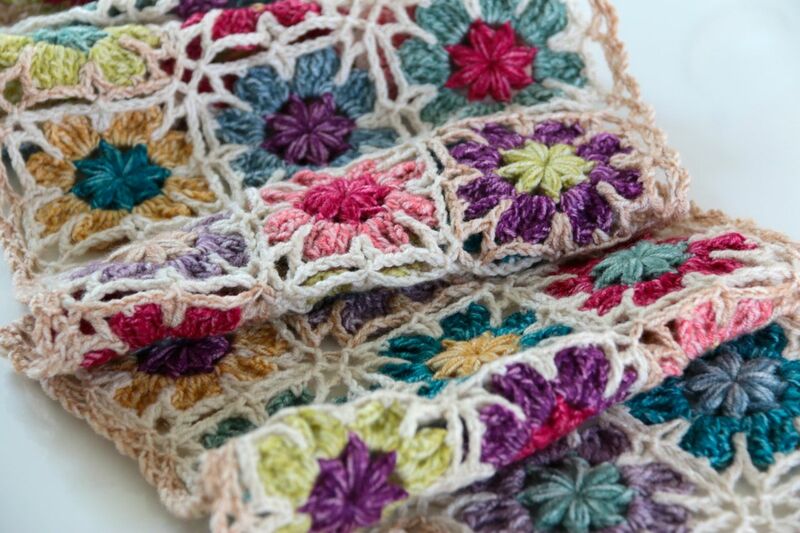 This pattern is for a rectangular scarf or wrap, made up of square motifs with a border added. 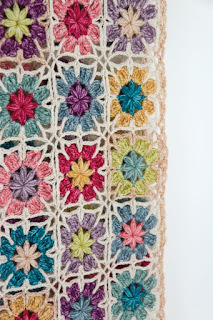 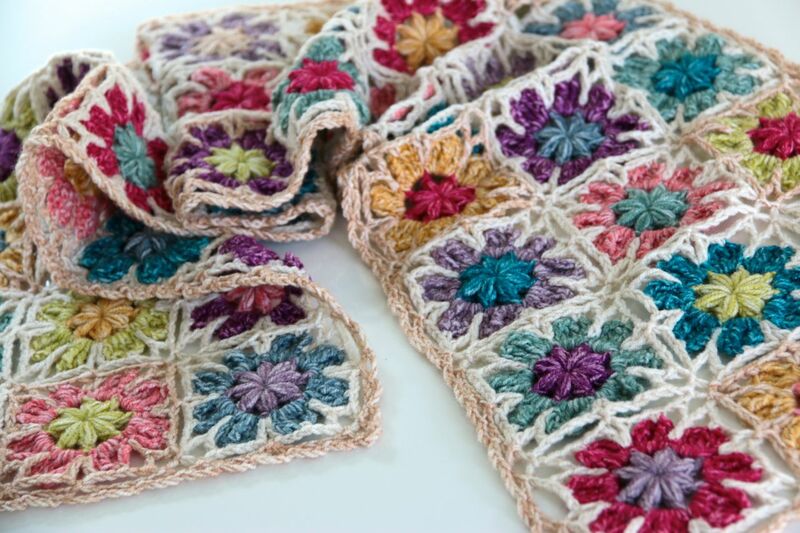 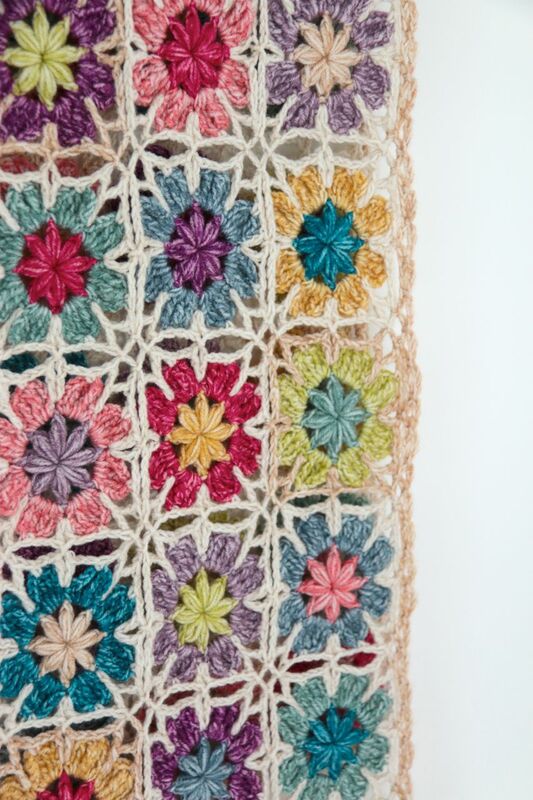 The pattern uses all the basic crochet stitches, together with some special stitches which are explained in the pattern. 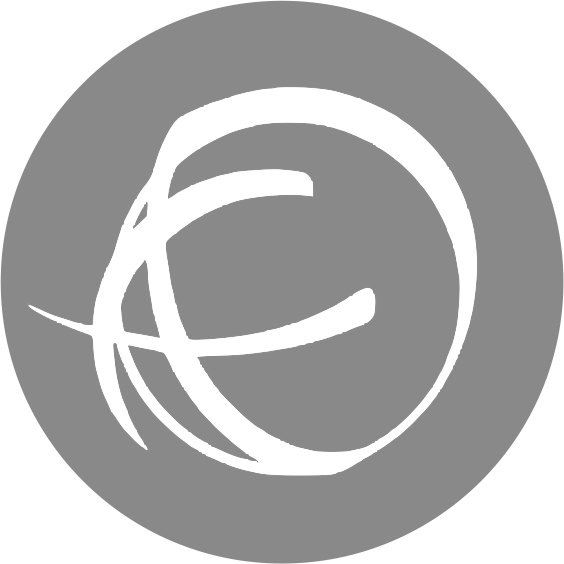 Experience with Join As You Go (JAYG) technique would be useful but a photo tutorial is provided.